HORIBA MIRA offers a number of cutting edge engineering/consultancy/validation activities around automotive electrification. HORIBA MIRA has successfully designed, developed and validated multiple EV programs using a variety of specialised skill sets and tools. HORIBA MIRA’s Energy Efficiency (EE) team follow the established V-Cycle development path to offer a Holistic approach to EV projects and Battery Systems. HORIBA MIRA offer prototype and low volume module/pack build assembly services both for battery systems designed by us and also 3rd party designed batteries. HORIBA MIRA offers a full integration service from procurements of cells, cell welding, to electrical harness build and mechanical assembly. Utilising the knowledge in-house HORIBA MIRA is able to produce low volumes of packs (1-50) for prototype/niche applications. HORIBA MIRA has designed Battery Management Software which has been developed through a range of projects including passenger vehicles, defence, electric buses and other commercial vehicles. Our BMS software can be licenced through a number of flexible commercial avenues depending on the customer requirement. 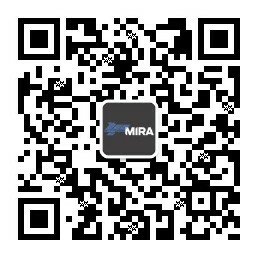 HORIBA MIRA offers the in-house capability to test and validate batteries according to the customer’s requirements. Development – The new cutting edge ABDS (Advanced Battery Development Suite) gives MIRA the capability to characterise cell and module performance at very high precision. Validation – Our Facilities in Quattro Park in Essex offer a range of battery test services from legislation reviews to creation of test specifications to independent battery validation.